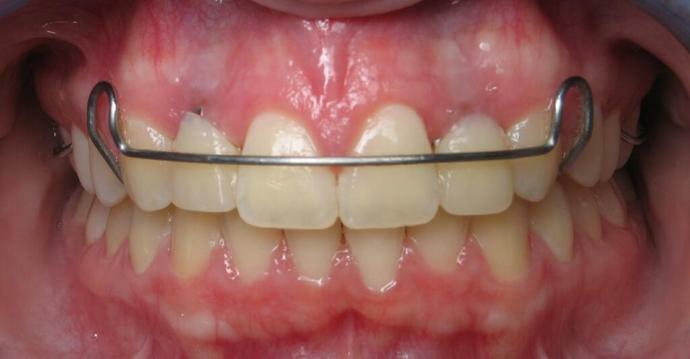 Dental implants were placed at the lateral/side incisors. 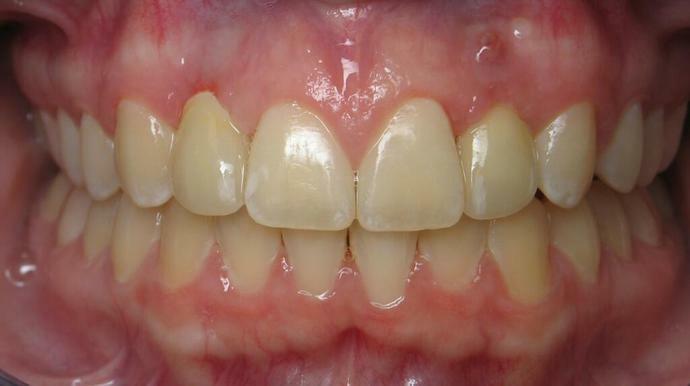 Porcelain crowns were made and attached to those dental implants. 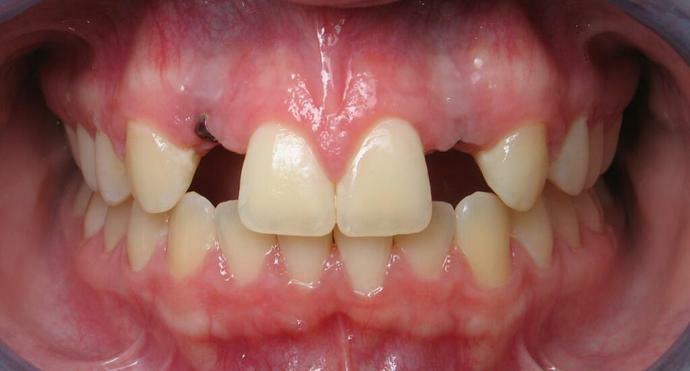 This case was restored using our CEREC CAD/CAM system.